Located in St. Louis, MO, the Ninth Circuit Court of Appeals hears federal cases that arise from the federal district courts of the Eastern District of Arkansas, the Western District of Arkansas, the Northern District of Iowa, the Southern District of Iowa, the District of Minnesota, the Eastern District of Missouri, the Western District of Missouri, the District of Nebraska, the District of North Dakota and the District of South Dakota. 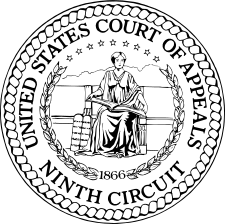 The Ninth Circuit has strict standards for the printing and filing of appellate briefs, and these standards differ from those of the other federal circuits. The starting point for a filling is, as always, the federal rules of Appellate Procedure. 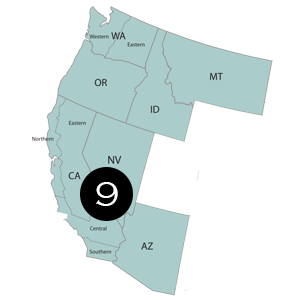 From there, the rules are modified by the local rules of the Ninth Circuit. Instead of a FRAP 30 appendix, required. Instead, Circuit Rule 30-1 requires the parties to prepare excerpts of record. Four copies of the excerpts of record are filed with one to each service party. The parties should ensure that in accordance with the limitations of Rule 30-1, those parts of the record necessary to permit an informed analysis of their positions are included in the excerpts. The appellant shall, unless exempt pursuant to Circuit Rule 30-1.2, submit the initial excerpts of record at the time appellant’s opening brief is submitted. The excerpts shall be separate from the brief and submitted electronically unless appellant is exempt from the electronic filing requirement. On the same day the excerpts are submitted electronically, appellant shall serve one paper copy of the excerpts on any other party that is not registered for electronic filing, but shall defer submission of the paper copies of the excerpts to the Court until directed by the Clerk to do so. If appellant is exempt from the electronic filing requirement, appellant shall file the 4 paper copies of the excerpts at the time the brief is submitted, bound separately from the brief, and serve one paper copy on each of the other parties. For each case type (e.g. criminal, civil, etc.) there are specific content requirements for the record on appeal. The excerpts of record shall not include briefs or other memoranda of law filed in the district court unless necessary to the resolution of an issue on appeal, and shall include only those pages necessary therefor. The presentence report, documents attached to the report, and any sentencing memoranda filed under seal in the district court shall not be included in the excerpts of record. Parties shall observe the briefing schedule set by an order of the Court of Appeals. Specific due dates set by Court order are not subject to the additional 3-day allowance for service of previous papers by mail set forth in FRAP 26(c) or Circuit Rule 26-2. The filing of the appellant’s brief before the due date shall not advance the due date for the appellee’s brief.